Ever since Stjepan Mesic embarked on his attack (initially covertly then overtly) against Croatia’s first president Franjo Tudjman from about mid-1993, intending to bring down the significance of Tudjman’s cries for democracy and to criminalise Croatian Homeland War the politics in Croatia have often seemed disjointed and often irrational in recent years. After Tudjman’s death in 1999 the people (or at least the majority of voters) had often voted against the interests of democratic reform announced as essential by Franjo Tudjman in 1990. In the past fifteen years Croats have managed to thoroughly corrupt the democratic system through the intricate network of a permanent political class composed of anti-fascist lobbyists underpinned by the perpetuation of the illusion that Communist Yugoslavia was a success story of multi-ethnic unity and through the controlled media. The mainstream media in Croatia has gradually crumbled into snippets of inflammatory or sensational “fly-by-night- news” bearing without a shred of guiding commentary that would assist in the building of democracy and truth. Indeed, there was a time – and that time was Tudjman’s time – when idealism for freedom and democracy triumphed over power and many Croatian men and women of good will from all over the world, voluntarily, without expecting any kudos or material reward, entered public activism, lobbyism out of a purer motive of doing something for their country – Croatia. For them Croatia symbolised pure love for freedom and democracy. Freedom (from oppressive communist Yugoslavia) was achieved and democracy although engraved into Croatia’s Constitution suffered frustrating setbacks. Despite Tudjman’s attempts from 1993 to embark upon ridding the power-wielding institutions of the former highly-positioned communist Yugoslavia operatives, they came out of the woodwork (largely due to Stjepan Mesic’s and his political camp’s resistance to lustration) creating a new mesh of power that would see the corruption that thrived at all levels of government for decades in communist Yugoslavia, which excluded oppressively any other ideology but communist – consolidate its suffocating effects on democratic progress. There’s little doubt that the greatest danger to the survival of free and democratic Croatia (or any republic for that matter) is corruption, corruption being favouring special or narrow interests over the common good. Croatia is there now and the current presidential election campaigns are increasing the speed with which Croatia may become a totally special interest political system, separated from the common good; the good of the people. And so, how do uncorrupted political leaders survive in a corrupt environment. We must fear that they cannot unless they possess equal cannon fodder to defend themselves from attacks that have no ingredients for common good but all the ingredients of furthering corruption and distorting the truth, which would if given a chance build on democracy. And so I come to a freak Croatian media “frenzy” whereby numerous media outlets published a letter written to the Croatian presidential candidate Kolinda Grabar-Kitarovic on a Facebook page by Danica Ramljak, a highly educated individual who has spent more than two decades living and working in the U.S.A. In that letter Ramljak evidently sets out to denigrate Grabar-Kitarovic as a deserving candidate for the President of Croatia by asking Grabar-Kitarovic to provide her answer to the 10 questions she (Ramljak) has asked in the letter. And I shake my head in despair: what chance of democracy and truth has Croatia got when educated people like Ramljak publicly ask stupid questions that should not have passed a decent Editor’s desk into the “print-room”? 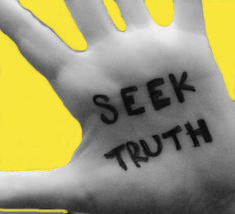 What chance does democracy in Croatia have when media outlets download from Facebook pages material that is highly inflammatory and based on an evidently malicious agenda to mislead the public and vilify people without even warning the public that the contents of that material may misrepresent the truth or proper role of a public official? Only someone who does not want progress in democracy in Croatia can ask and publish such questions. Only someone who wants political corruption to thrive in Croatia can ask and publish such questions. Ramljak in her questions that to me appear stupid, vilifying and malicious suggests that Grabar-Kitarovic as the Croatian Ambassador to the US was responsible for bringing American investors to Croatia (and failed)! Even a child knows that an Ambassador does not create or control state laws and regulations for foreign investments – and God knows Croatian laws and red tapes have been hopeless and repelled many an investor. Furthermore, investing is the sole prerogative and choice of an investor and Ambassadors are no herders. Ramljak then suggests that Grabar-Kitarovic as Ambassador is to blame for not enough US tourists visiting Croatia because she did not promote Croatian tourism enough as Ambassador – truly, Ramljak needs a few lessons in choice and individual right to choice, in democracy – actually. Even if it were the job of an Ambassador to promote the tourist industry (as opposed to supporting it) – which it is not – one surely cannot attach blame to that Ambassador for a personal choice a tourist makes regarding their holiday destination. Furthermore, Ramljak claims through a question that Grabar-Kitarovic secured her high position in NATO while working in Washington as Croatian Ambassador to the US and that her employer (Ministry of Foreign Affairs) did not know anything about that. It seems that the democratic right to do whatever one pleases in one’s private time (away from the job or working hours) or to pursue private matters (and seeking a new job is a private matter), does not factor in Ramljak’s idea of democracy and human rights. Certainly, Ramljak offers no evidence of any wrong doing by Grabar-Kitarovic and yet has the nasty gall of strongly implying it. Ernest Hemingway’s 1940 novel “For Whom The Bell Tolls” graphically describes the brutality of civil war (Spanish Civil War) and the Spanish Civil War is all about politics: it’s a conflict between the leftist “Republic” and the fascist Nationalists. All of the characters the novel focuses on fight for the Republic, some of them with a zeal which borders on the religious. Yet what the Republic stands for is somewhat up for grabs: it’s a troubled coalition of Communists, anarchists, and those who simply believe in “freedom” or “the people.” The optimism or idealism felt by some characters is sharply contrasted with the reality of Republican politics – constant lying, infighting, and control by foreigners. The questions should be easy to answer. What will poor Kolinda do when they ask about Sanader. 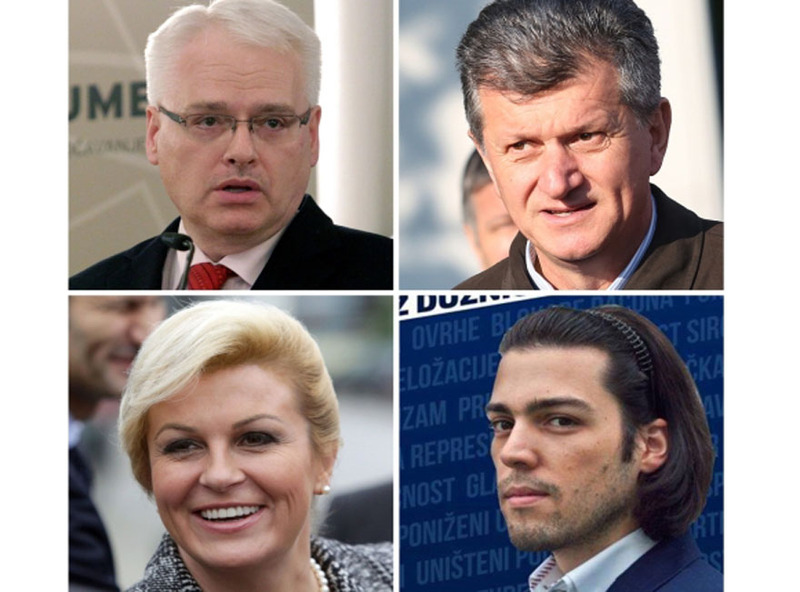 If Josipovic wins these elections, we (the normal majority) are in a great danger. More and more “leftists” (criptoyugoslavs) and chetniks pop up in every comment on fb threatening Croats with new slaughters. Several young people have been recently arrested in Split for showing their disagreeing with the Josipovic’s political program. Another thing I’ve noticed among foreign media and analysts: all of them show respect for Srebrenca genocide, which is praiseworthy but I never see any similar respect for the Vukovar victims or victims in Croatia in general. That is because the generously foreign government and Croatian government financed propaganda front “Documenta,” whose charter Ivo Josipovic himself wrote, has been busy on the sham NGO circuit pushing guilt equating and the fallacious “civil war” conspiracy theory that had and has nothing to do with a) Chronological order of political events b) Chronological order of battle c) The Truth. Note how, when Tudman was in power, the office of the Presidency needed to be stripped of any political power and limited to intelligence and defense – yet now, with one leftist get no vote spoiler running against YUsipovic with Kujundzic and Kitarovic splitting the Croatian center, center right and right vote, there is talk about returning the pre-Mesic presidential powers – by the same people who were screaming to detool presidential powers. So true! The thing is that those people have support from far too many intelectuals/politicians all over Europe. It’s interesting to see professors of University of Graz commenting and writing about Yugoslavia with nostalgia or predending as if it still existed. I’ve mentioned Graz because I’ve recently seen their works & articles. 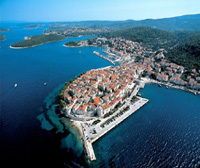 I do hope the people of Croatia decide to go with Democracy at the elections. I hope that their candidate is genuine in their desires for democracy and is not just paying lip service to it. It would be nice to have a country with genuine politicians devoted to the good of the people instead of the crypto-fascists many countries in the West seem to favour currently. Greece, France, Holland and even Germany are there or heading there already with the UK toying with the idea of having the Right Wing in power. It seems the mistakes of the past are not learned from but encouraged again. The idea of a world at peace must scare some people.The idea of a genuine democracy scares others. Come on Croatia, lead the world in getting back to that ideal. 1991 against yugoslavia, 2014 against yugoslavs! Bez lustracije nema demokracije! Bez lustracije nema Croatie! Do you run the youtube page under that SN? If so great vids. Hopefully Croatia looks to another leader who can LEAD the country out of it’s dismal economic climate. Josipovic did some good things, however, I think it’s time that Croatia moved towards a more democratic leader and a more democratic society. Hopefully Kolinda, if she wins the election, lives up to her key objectives for the Republic of Croatia. Although, Kolinda isn’t fairing that well in the polls at the moment. Whoever ends up being the next president, I hope they cut the corruption as that is holding the country back and finds ways to support, strengthen and grow the economy and support the war veterans because without them, Croatia wouldn’t be a Republic but a country dissolved into the ex Yugoslavian states. Just let me know and l will update with any links as well you want to add, you do a great job all that volunteering. Its quite sad its funny. The same hypocrites seeking verbal support in their election campaign and photo opts with Gotovina (captioning – ‘old friends’) are the same who sold him down river to the Hague. They have no shame. As a member of HDZ Kitarovic did not defend Gotovina rather worried about her career in EU/NATO as then minister of European integration and worked just as Sanader, Seks and Karamarko and the rest of the ‘dignified’ HDZovci in “locating, capturing and transfering” our generals in the name of cooperation and European integration. And now you have Mesic’s pupil, once chief of election campaign and national security adviser Karamarko who was pushed by forces to the top of HDZ after Sanaders ruin is now the biggest defender of Tudjmanism and lustration laws? Somethings fish. Karamarko is the final nail in the coffin of the HDZ that once was. Rojs was right a few days ago when he said HDZ and those who now decorate themselves with tudjmanism have nothing to do with it. The cooks from the Kumrovec political school still think people don’t think with their heads and they can serve them whatever they wish. At times you don’t know what worse, the unapologetic communists (SDP) or the communists who drape themselves in the Croatian flag (HDZ). HDZ and SDP are long since practically two neoliberal party’s of Zagreb two interest castes. ….an appeal should be sent to ALL Croatian churches (and mosques), clubs, schools, radio programs etc., to ALL Croats in the Homeland and the Diaspora, in this election 28 December 2014, ……NOT to vote for Josipovic! This may be the last chance! Josipovic, is either a paid sucker for the Serbian chetniks and communists or for British intelligence (MI6), and should be expelled from office! The serbians would not bother, as this traitor would get a nice JFK haircut! ……………………….DO NOT VOTE FOR JOSIPOVIC!!!!!! So treason is ok as long as its the service of the state (part of the job)? Former members of Sanader’s cabinet (incuding Kitarovic) should be ashamed and the last one’s taking cheap pictures with General Gotovina. Until Croatia throws of the shackles of both SDP and HDZ (it all starts with a change in the izborni zakon, where one votes for a candidate and not a party, which up until now self appointed the same entrenched and incompenent crooks year after year) there will be no change and prosperity. Markic’s “U ime Obitelj’s” referendum for a change to the electoral law was rejected because according to communist math, 10% of 3.7 million voters, is 452,000? 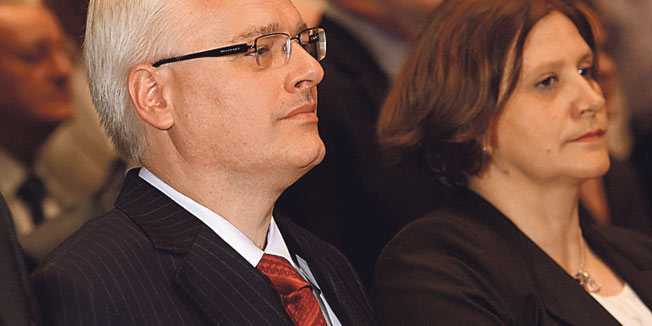 Both SDP and HDZ, two heads of the same snake are against change to the izborni zakon. A president not linked and under the key of either party (Kujundzic) is a refreshing start. He already had the courage to speak about the deception in the last election, namely the manipulation of registered votes. The half million ‘ghost votes’ which propelled Josipovic above Bandic in 2010. I would not be surprised if the same thing happens again. Sorry, Rex Croatorum, no one is self-appointed – there have been democratic elections in Croatia and the people voted for the government and for presidents – it’s a shame that many more did not bother to vote for if they did the results might have been quite different.